If Meghan Markle and Prince Harry do not show them that courtesy, well we have to say, that the Royal Family will have a lot of family drama to deal with. It seems that the Royal feud has escalated and if it hasn't it will after this apparent revelation. Apparently, Meghan Markle and Prince Harry will not ask Kate and Prince William to be godparents to their royal baby, a royal expert has predicted. Richard Fitzwilliams told Express.co.uk the Duke and Duchess of Sussex would likely choose godparents who "reflect both his or her British and American roots". He said the pair would follow in the footsteps of Kate and Prince William and choose "non-royals" to take up the honour. Mr Fitzwilliams said: "We know that William and Kate have largely avoided members of the royal family when choosing godparents for George, Charlotte and Louis. "We don't know what line Harry and Meghan will take but the likelihood is that they will choose godparents who reflect both his or her British and American roots and are non-royal." Apparently, the decision to exclude Kate from the list of godparents would fall in line with royal tradition as neither the Duke or Duchess of Sussex count the children of Kate and Prince William as their godchildren. Well, tradition or not if Prince William and Kate Middleton aren't at least asked to be god parents to Prince Harry and Meghan Markle's baby, it would be a Royal slap to the face and would surely cause the apparent rift between the Royal couples to widen. We have to say, like it or not, such a slight would forever taint the relationship of both couples. Naming Prince William and Kate Middleton as godparents may not be Royal tradition, but asking them regardless is courtesy. Meghan Markle is expected to give birth in April. But it doesn't seem to stop there. Apparently, the Duke and Duchess of Sussex could face challenging times, Consultant To The Stars Sally Kirkman warned. The astrologer claimed that Harry will see his identity change but former actress Meghan will be a natural mother. Ms Kirkman said: "As for any couple, a new baby will shift the dynamic of the relationship. 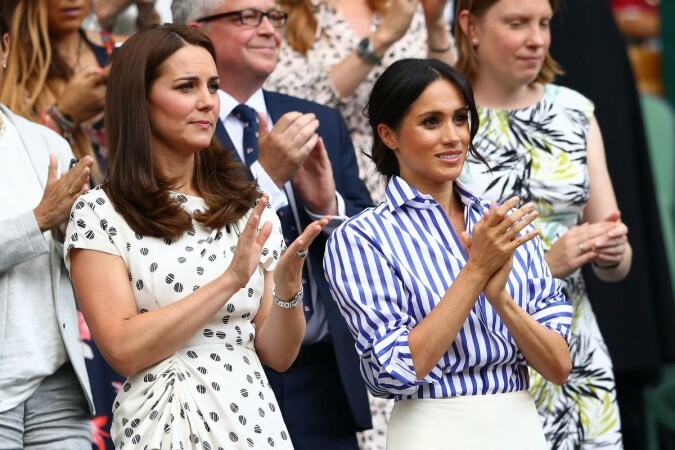 "I do think it could be tricky for Harry and Meghan as they both have some challenging astrology to their relationship during this year and next - key months are July 2019 and March 2020. "I think it will change Harry's identity and how he sees himself, which may not be a comfortable process. "It feels as if he's undergoing a psychological transformation, which may be linked to losing his mother at a young age. Well it does seem like the Royal baby will be bringing a lot of changes to the Royal family as well as the Royal Palace.